The Cedar Grove star de-committed from UGA during the fall and subsequently signed with Oklahoma. ATLANTA — It's been an interesting few days for Cedar Grove star Jadon Haselwood, otherwise known as the No. 4 football recruit for the Class of 2019 (source: Rivals.com). Let's start with the Bulldogs. Haselwood had been a verbal commit to UGA and Kirby Smart's staff since his sophomore season, allowing Red and Black fans to dream about Haselwood and Dominick Blaylock (Rivals' 9th-ranked wideout) joining the Dawgs in the same class. But sometime in October, Haselwood threw the UGA coaches for a loop, thus re-opening his recruiting process ... without ever saying Georgia ultimately wouldn't be his final choice. So, why did Haselwood pick Oklahoma over Georgia ... aside from his love for Sooners football as a child? In a new episode of 'Ink Talk' on YouTube, which has gone viral in the last 24 hours, Haselwood, his mother (Courtney) and aunt (Trudy) casually shared recruiting stories and gut feelings, while Jadon sat through a tattoo session. **Courtney (Jadon's mom): "I was very shocked, I was very shocked (Jadon didn't go to Georgia). It came as a surprise to me," while happily recalling the "good people at UGA." **Trudy (Jadon's aunt): "I know that Jadon's dream school was Oklahoma from the beginning" ... and yet, she thought Haselwood would keep his commitment with Georgia. 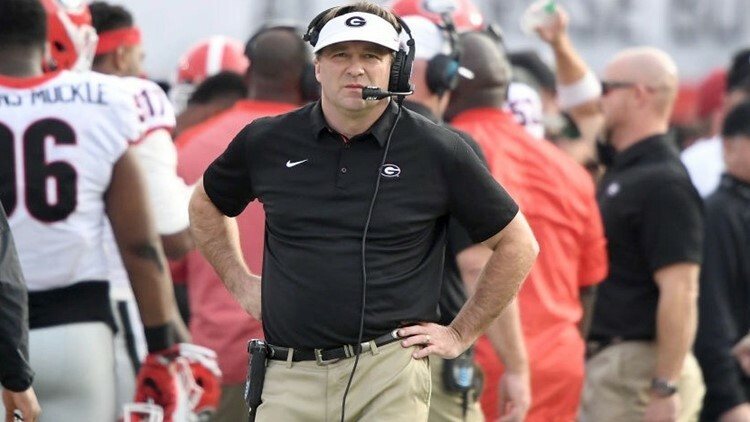 **The family was disenchanted with Georgia's coaching staff in recent months, referring to the lot as "fake," while possessing the truth-telling acumen of "car salesmen." One particular knock: Former UGA offensive coordinator Jim Chaney was recruiting Haselwood up until his Oklahoma commitment; but on camera, Haselwood hinted Chaney already knew he would be leaving for Tennessee (serving as the Volunteers' O-coordinator). This prompted the mom to recall a telling line of exasperation from Jadon: "Mom, you can't listen to everything they say." Haselwood appeared to be a solid candidate for Miami, as well. But from his point of view, the abrupt retirement of head coach Mark Richt (formerly of Georgia), created a shaky environment on campus, relative to football. "I really liked Miami," recalled Jadon, "but they just weren't a stable program to tap into." Haselwood then dropped an interesting nugget, regarding the stunning regime change from Richt to Manny Diaz. "I heard they fired Mark Richt, because (school officials) wanted to him to fire his son (assistant coach Jon Richt) ... so Richt just retired. "... At the end of the day, you still have to win to change (the program culture)." In November 2017, Miami was undefeated and ranked No. 2 nationally. At that point, few could have guessed the Hurricanes would drop nine of their next 16 games, including a rain-soaked home defeat to Duke, which irked Haswelwood from afar. While Haselwood sized up his new tattoo, the Ink Talk host often referred to Jadon's love of adidas products. Curiously, of the three schools discussed above (UGA, Miami, Oklahoma) ... only the Hurricanes have an apparel agreement with adidas.